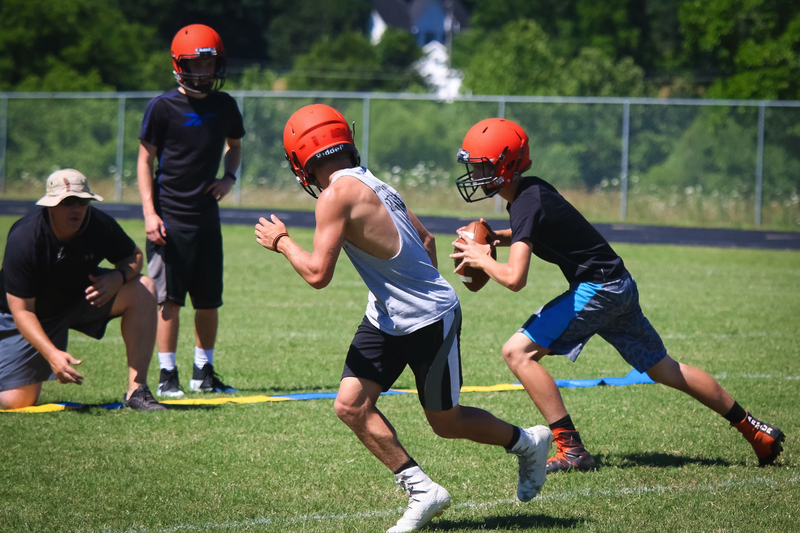 New Republic football coach Dustin Baldwin has gotten his first look at the Tigers during a series of June practices and 7-on-7 games over the past few weeks. The Tigers wrapped up their final June practice Wednesday morning, after finishing their 7-on-7 schedule earlier in the week. For Baldwin and the players, the June session has been an opportunity to get to know each other. This month’s practices have focused on putting Baldwin’s new system in place. The 7-on-7 competition against other squads helped Republic’s players begin to learn Baldwin’s pass offense and defense. And Baldwin says he liked what he saw from his players during those games. Weights and conditioning will continue throught the summer, except during mandated “dead” periods, with summer football camps scheduled for mid-July. There’s also a junior high football camp set for July 17-20 and a youth camp scheduled for July 10-13.